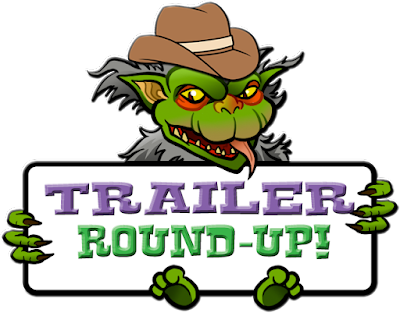 THE B-MOVIE NEWS VAULT: Trailer Round-Up: DEATH HOUSE, THE NEON DEAD, NIGHT OF THE WITCH, and MISS PEREGRINE'S HOME FOR PECULIAR CHILDREN. Trailer Round-Up: DEATH HOUSE, THE NEON DEAD, NIGHT OF THE WITCH, and MISS PEREGRINE'S HOME FOR PECULIAR CHILDREN. It's been a looooong time since I did one of these posts Vault Dwellers, so I figured I'd bring the trailer round-ups back in style! Here are four super cool trailers featuring neon zombies, murderous madmen, killer witches, and peculiar kids! Enjoy! Apparently the late (and truly great) Gunnar Hansen was all about doing a film that could only be described as "The Expendables of Horror." And amazingly.... it seems to have become a reality! Starring the likes of Adrienne Barbeau, Kane Hodder, Tony Todd, Sid Haig, Barbara Crampton, Dee Wallace, Michael Berryman, Bill Moseley, Felissa Rose, and many others, this horror flick centers on a high-security asylum called the Death House, that is home to some of the most vicious madmen in history. They are safely locked away until a sudden power outage lets everyone loose! Several agents within the secret facility, in a desperate bid to survive, travel into the depths of the "Death House" where it's rumored that a group of supernatural killers are stashed. Who will live, and who will die as psycho killers battle one another within the confines of the DEATH HOUSE?! Look for DEATH HOUSE sometime in 2017! On September 29th, Jacob Portman (Asa Butterfield) will try to unravel a mystery that leads him to MISS PEREGRINE'S HOME FOR PECULIAR CHILDREN. Best described as "Tim Burton's X-Men," Jacob discovers a magical place full of children that have a variety of special powers, and also finds that he has the power to see "Hollowgasts." This "peculiarity" allows him to battle the soul-sucking creatures to protect his newfound friends. Honestly... it sounds kind of cool and I'm willing to give it a whirl. Eva Green is always a welcome sight, and this is probably one of the most colorful films Tim Burton has shot in some time! Watch the trailer for yourself and consider giving this book adaptation a little love in theaters at the end of the month! Due out on September 13th, Wild Eye Releasing's THE NEON DEAD pits two paranormal exterminators against an ancient evil, and a small army of monsters. Directed by visual effects artist Torey Haas (V/H/S, THE ANGRY VIDEO GAME NERD MOVIE), this indie horror flick looks like it could be fun, as the two heroes, who are clearly in over their heads, take on neon demons! Scope out the trailer below! Currently raising funds on IndieGoGo, director Jesse James Hennessy is looking to put together a feature-length 80s-style horror-comedy, featuring partying teens in a cool van, and an undead witch! Take a few minutes to watch the impressive ("zero budget out of pocket") proof of concept trailer below, and you'll get an idea for what tone this flick is going for! It looks like it'll be a blast, so be sure to chip in a few bucks!!! 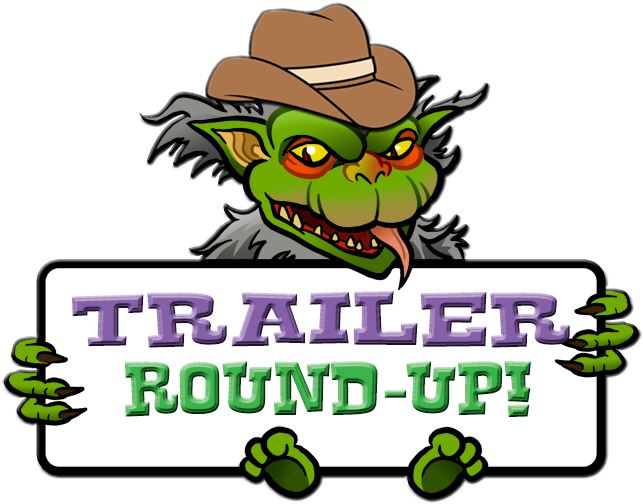 That's all I've got for you now Vault Dwellers, but check back again soon for more movie news, trailers, and more, right here at The B-Movie News Vault!